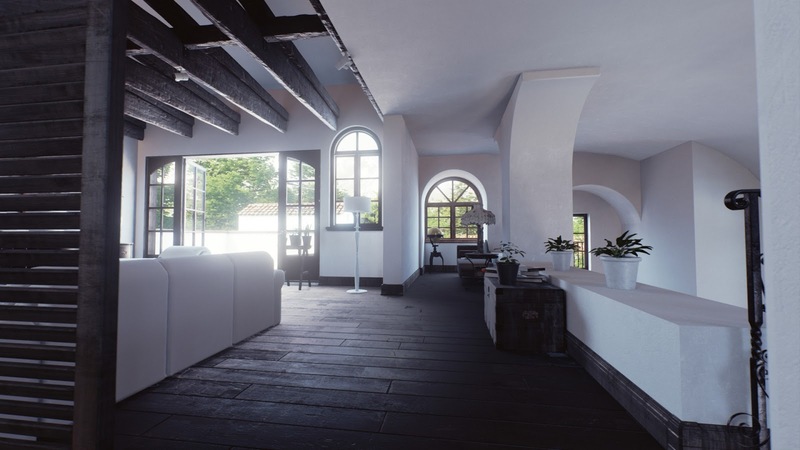 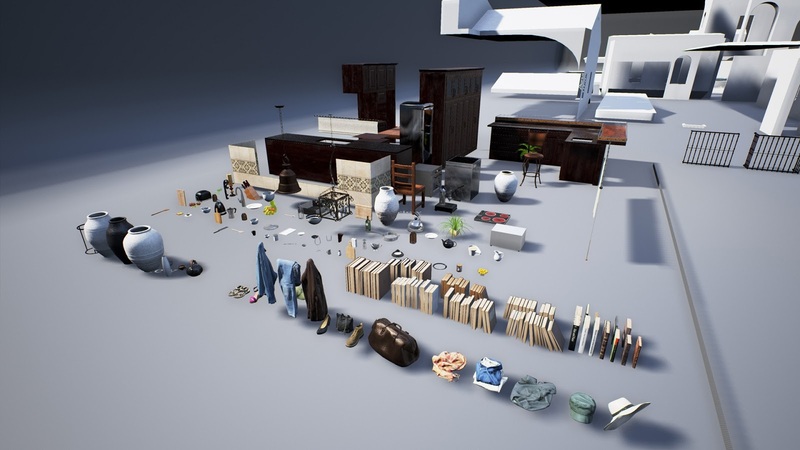 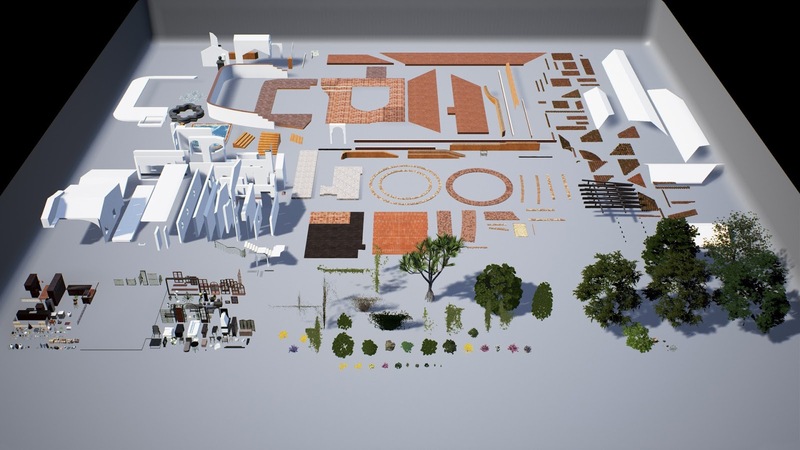 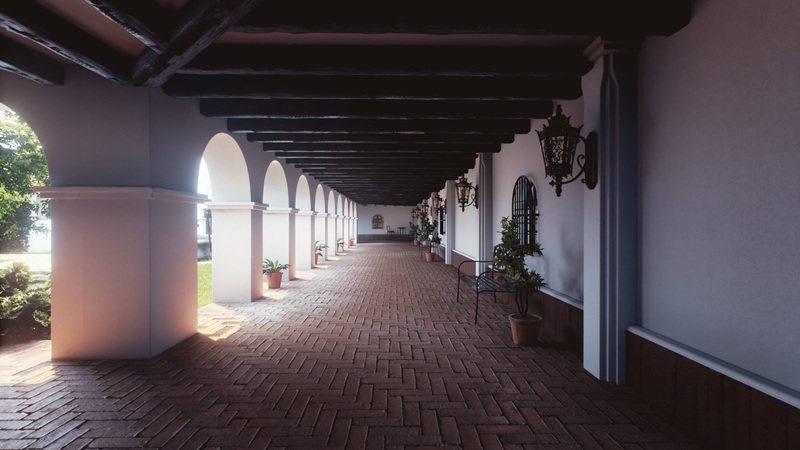 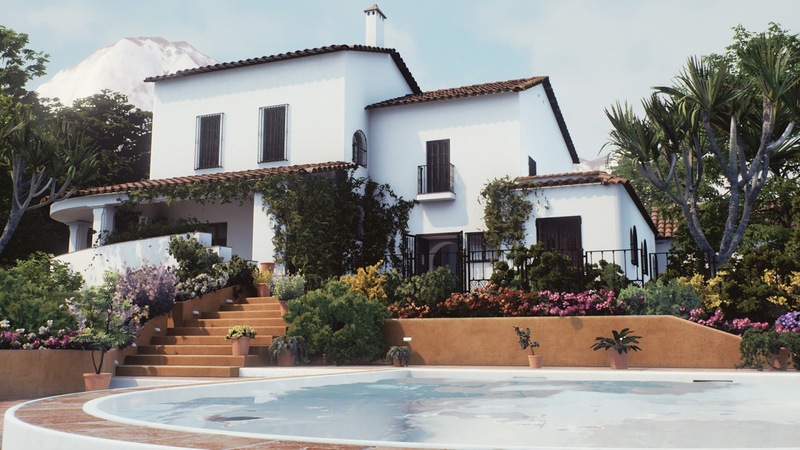 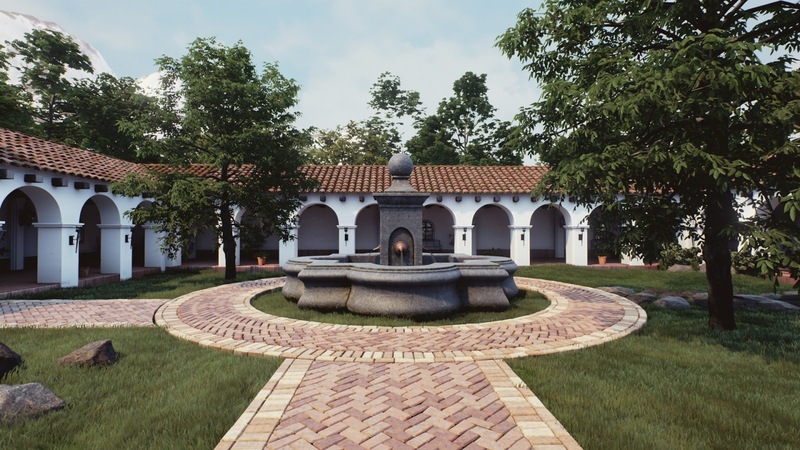 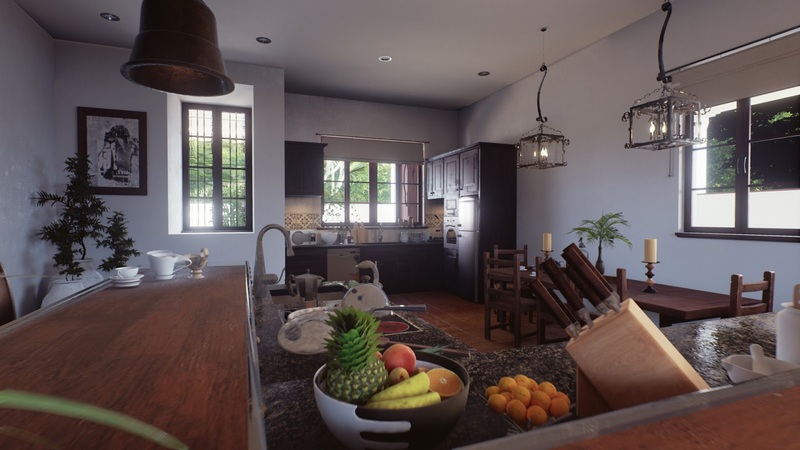 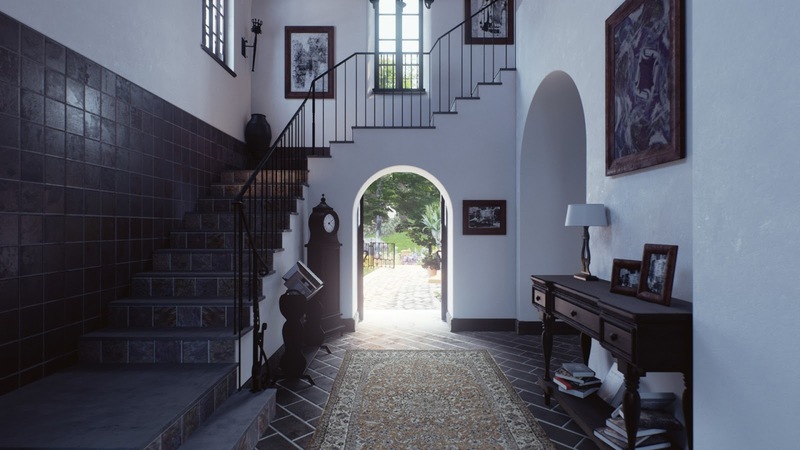 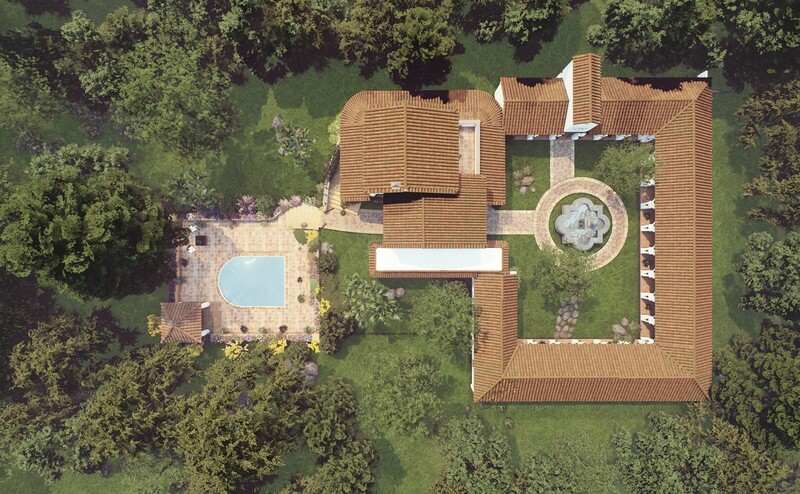 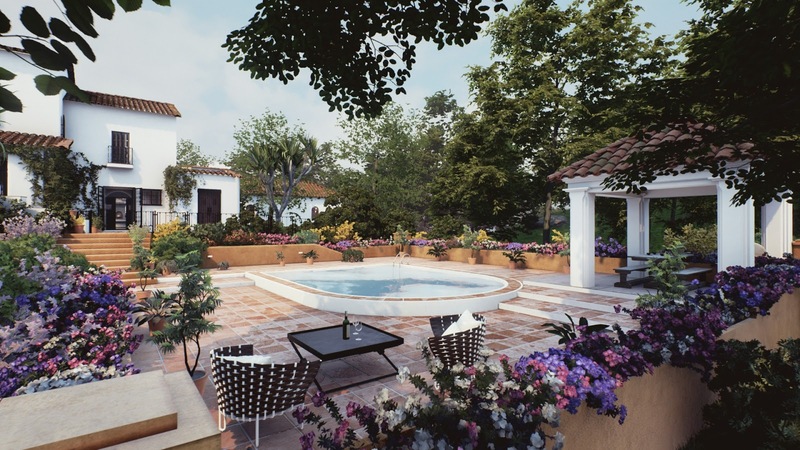 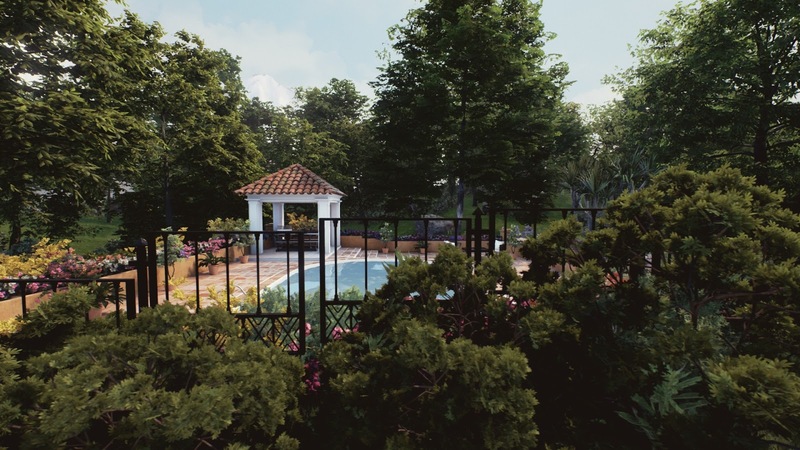 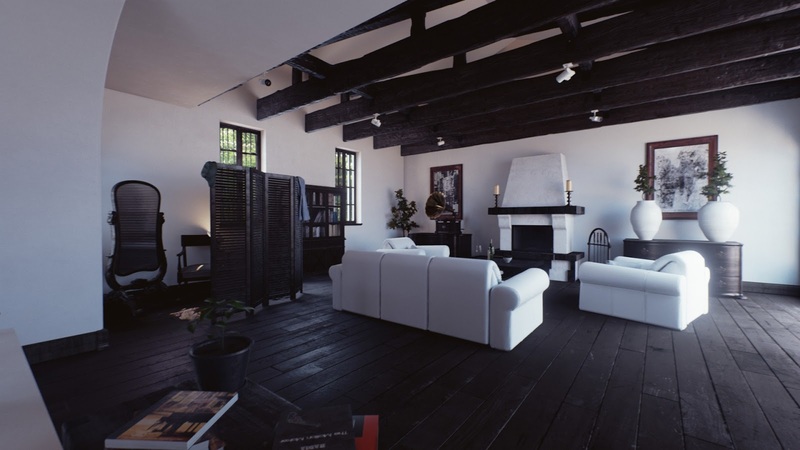 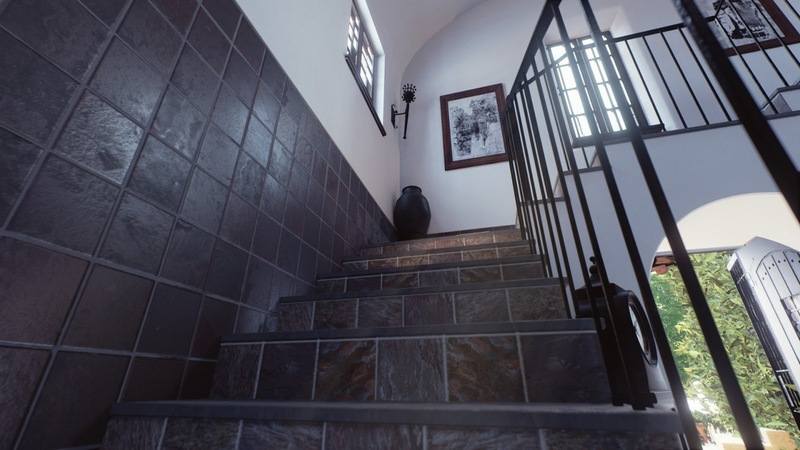 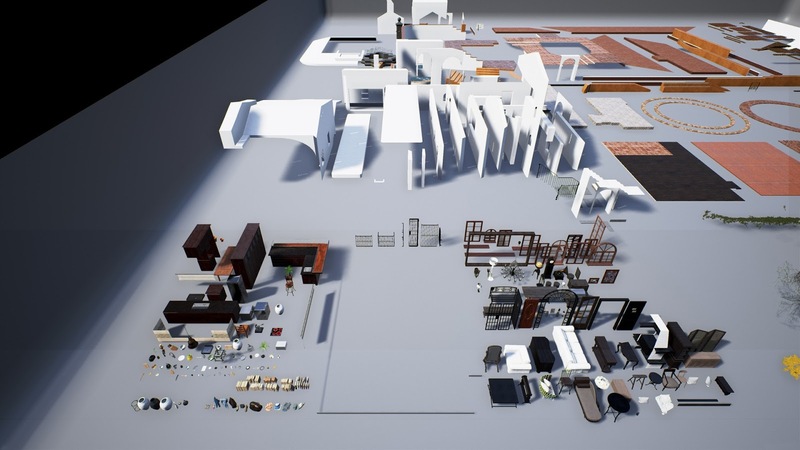 [ #Evermotion #Product #UnrealEngine ]This collection includes a complete hacienda-style house with a garden. 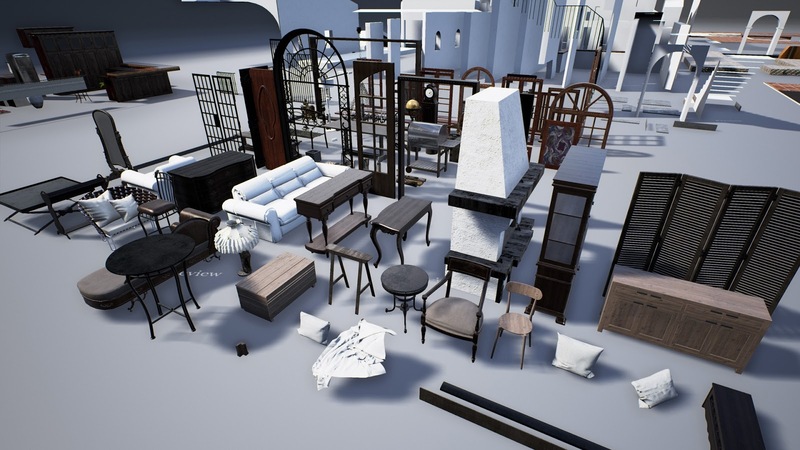 Each room was carefully modeled and filled with props and assets. 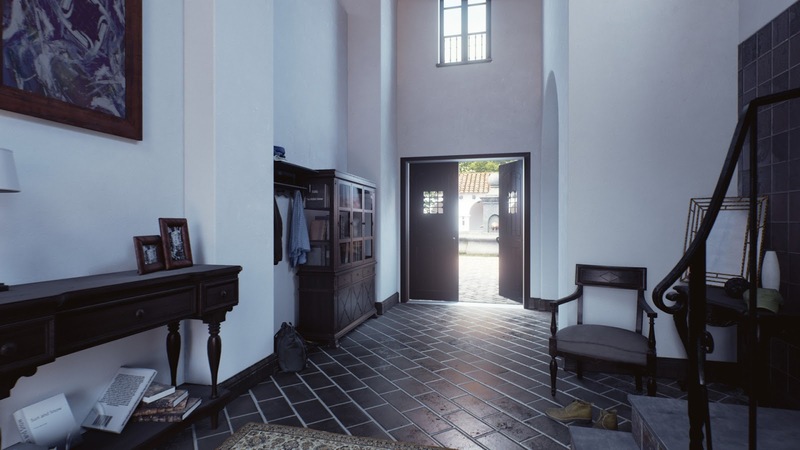 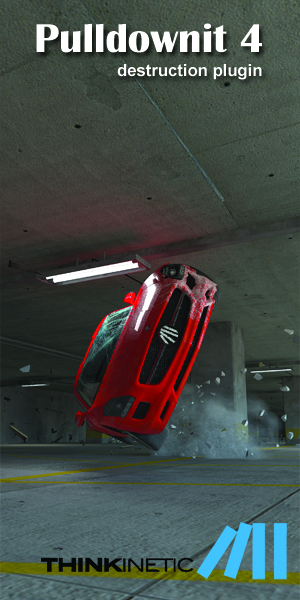 There are no empty interiors or exterior areas. 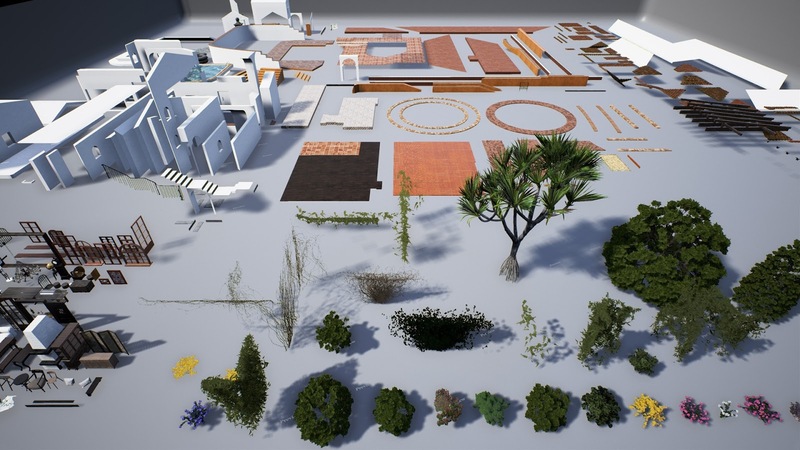 The scene contains a big number of vegetation assets for your visualizations. 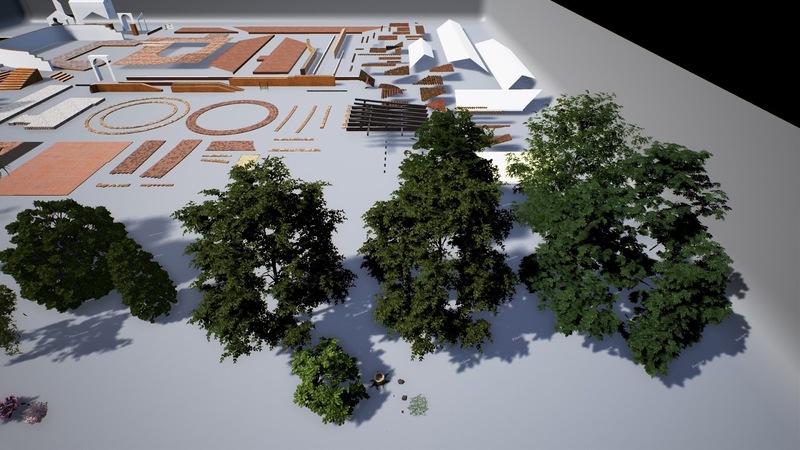 Larger trees have LODs, which means they are suitable for each kind of visualizations and games. 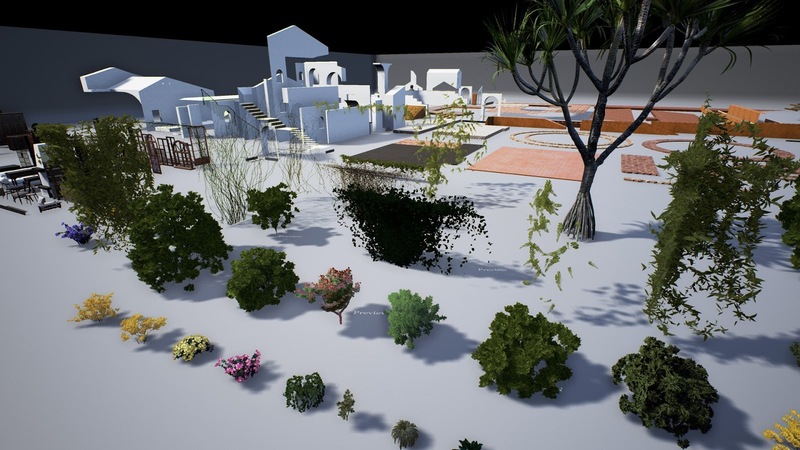 The scene contains procedural generated grass.